Blood: the Color of Cranberries is a sweeping chronicle of the Milton family, sophisticated Chicagoans who are forced to move to a small, northern Wisconsin peat bog in 1920, due to the sudden and unexpected death of a family member. The twisting interplay of personalities, each with their own secrets, delays the unraveling of this mysterious "accident" for forty years. Along the way, the reader is introduced to a history of cranberry cultivation in Indianhead country, as well as the life and communities of the North Woods prior to 1960. There are dark mysteries behind the most innocent of things. 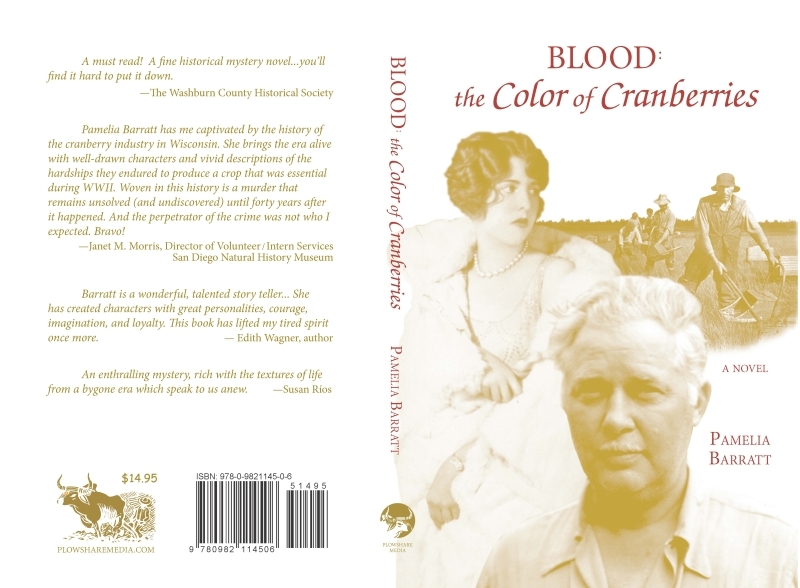 "Blood : the Color of Cranberries" is a tale of early cranberry cultivation and how a Wisconsin farmer, a Chicago flapper girl and one native American face their own histories and the hardship of cranberry farming. Proving an intriguing mystery as well as a snapshot of a lost time, "Blood : the Color of Cranberries" is a fine and very highly recommended read. Pamelia Barratt grew up in Chicago and spent summers on her father's cranberry bog in northern Wisconsin. After graduating from Smith College and receiving an advanced degree from Georgetown University, she taught high school chemistry in Washington, D.C. Later, while living in England, she earned a masters degree in Latin American Studies and, with her husband, went on to start a Non-Governmental Organization (NGO) in Bolivia that helps the indigenous Aymara. Recently she has worked as a journalist in San Diego. Blood: the Color of Cranberries is her first novel. 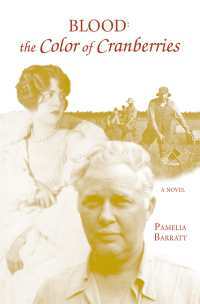 Please visit her website at https://www.pameliabarratt.com/ for more information.